Just some of the young people who took part in the Dreamscheme held in Whitemoor from 11-15 August. For a full report on the Dreamscheme see the previous post. 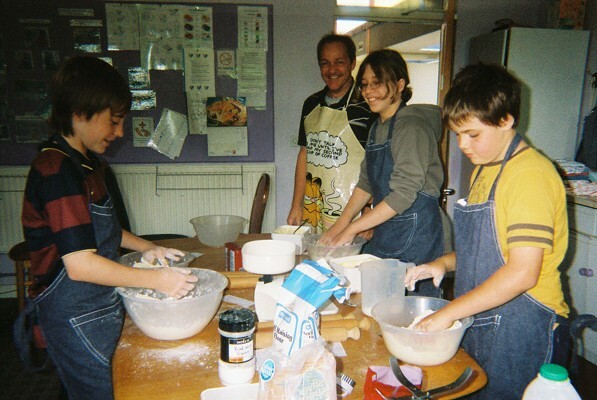 The Dreamscheme was set up a number of years ago, with the objective of giving young people a greater sense of purpose within their community. With this in mind the first Belper Dreamscheme was launched on the 11th August when 15 young people arrived at the Whitemoor Centre, the base for the week, to be greeted by a number of volunteers. 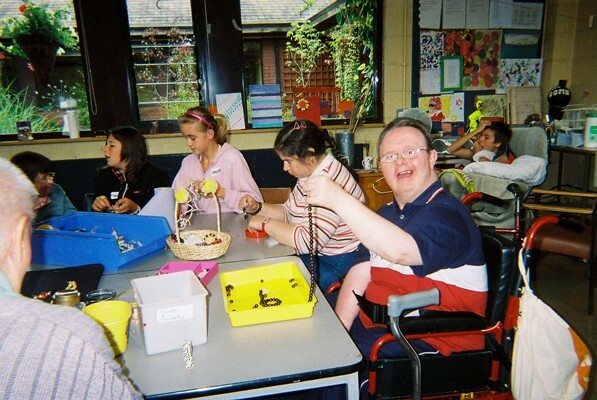 The Whitemoor Centre is used as a day facility for adults with learning difficulties. The week began in a positive way with a few icebreakers before getting down to the business of the week and how it was going to be run. The young people were split into two groups working from 1 until 7pm each day, rotating between the two main activities. The indoor group worked alongside regular users of the centre for the first session, interacting and building relationships. In the second session they prepared for an afternoon tea on the Thursday, creating invitations for local residents from the local housing association houses, planning shopping and baking. The outdoor group worked on a community development project with help from Groundworks and a number of volunteers. They worked tremendously hard, repairing steps, replacing fencing and clearing overgrown hedgerow in a conservation area next to the Whitemoor estate. The end product they achieved was amazing, the young people really stepped up to the mark, and exceeded our expectations for the week and came back tired but with a great look of satisfaction on their faces. Young people can do wonderful things. This group proved that and so on the Friday with the points they had earned over the week, the young people had a well deserved day out with a number of volunteers to Alton Towers, the trip they had been working towards all week. The Dreamscheme has given members of Hope for Belper an opening to work with other member of the community such as the housing associations of the area, police, council, and the young people and general public, what an opportunity to build relationships within Belper. To show that Christians in Belper want to come together to show kindness and a deep care for our town! 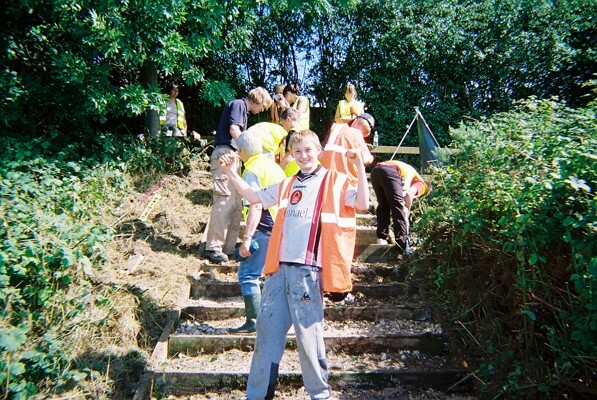 This summer “Hope For Belper” is running a Dreamscheme on the Whitemoor Estate in Belper during the week commencing 11th August 2008. 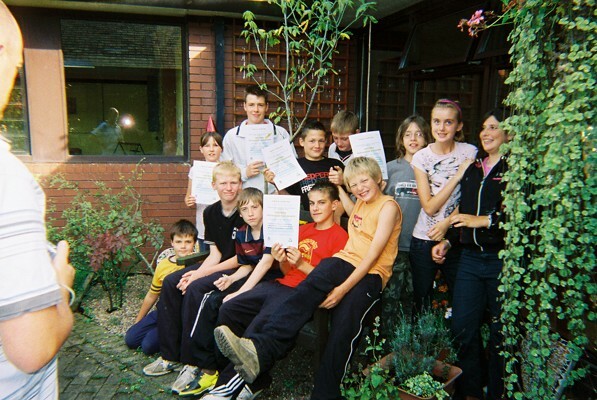 Dreamscheme is a community youth project for young people aged 11 – 14 years old. It is based on a simple concept of WORK, POINTS and TRIPS. 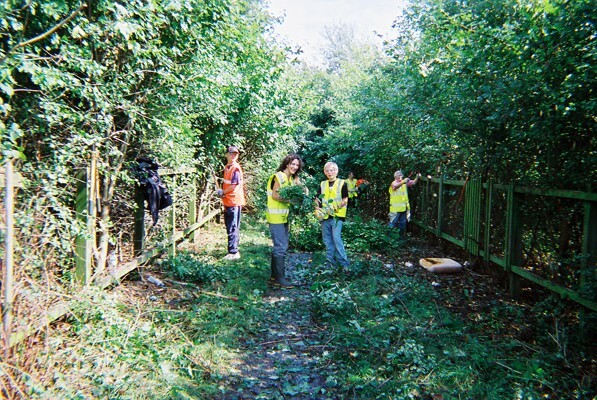 Young people carry out community based work for which they earn POINTS. These can be exchanged for a TRIP of their choice! It’s all free! The Dreamscheme is running for one week from 11th to 15th August 2008, based in and around the Whitemoor Centre on John O’Gaunts Way, Belper. A booking form has been delivered to all homes in the area. Young people must complete and return the forms by 18th July. Places are limited and will be allocated on a first come first served basis. So hurry, don’t be disappointed! “Dreamscheme is an exciting thing,” says Gareth Greenwood, one of the founders of Hope For Belper. “The main idea behind Dreamscheme is that young people can do wonderful things! Too often we hear the opposite. Hope For Belper is working with the Police, The Groundwork Tust, Amber Valley Borough Council and the local housing associations, Spirita, Derwent Living and Amber Valley Housing Ltd to deliver the Dream Scheme project. Dreamscheme is run by trained volunteers who have all been CRB checked. More details about the Dreamscheme can be found HERE. For more information or a booking form, phone Gareth and Helen Greenwood on 01773 823418 or e-mail them via ggandhg@aol.com. The Hope for Belper team has plans for the summer – no, we’re not all heading off to Disney Land (although that doesn’t sound like a bad idea now I think about it), we are in fact teaming up with local agencies to deliver an exciting Youth Community Project. Go to the Projects page to find out more.